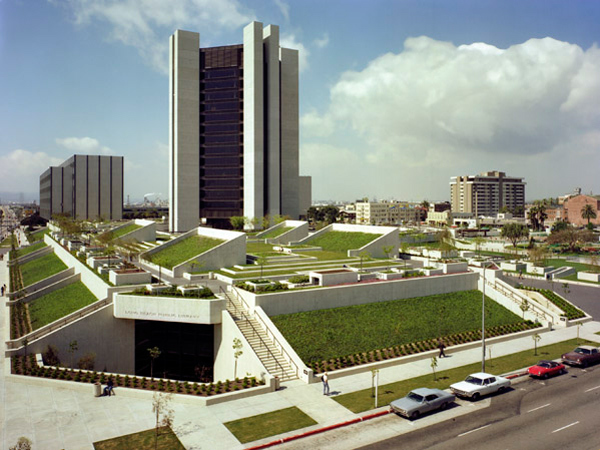 Established in 1888 the City of Long Beach has witnessed a number of building campaigns to house its civic offices, with the most recent being the existing 16-acre complex completed in 1977. 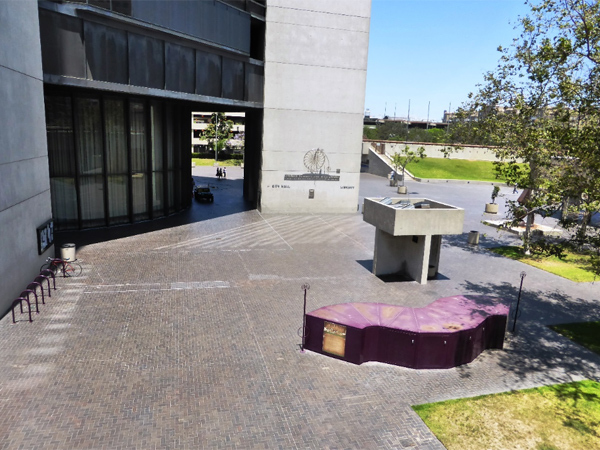 Having outgrown a Classical building with an arcaded entrance and dome-topped towers designed in 1923 by architect Horace Austin, the City commissioned Allied Architects in 1973 to design a modern complex. Working with Allied Architects, Peter Walker with Sasaki, Walker and Associates provided the landscape design. 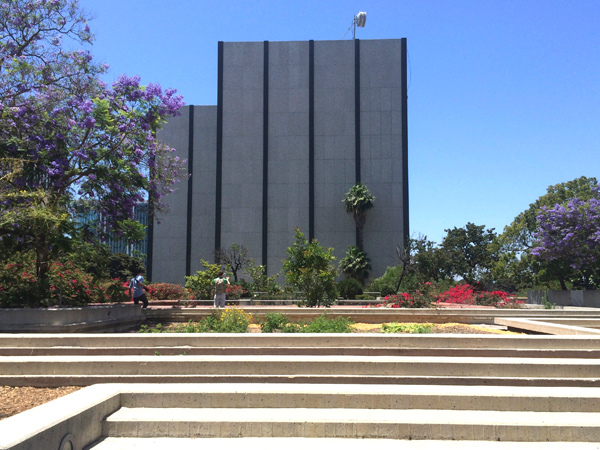 Occupying a six-block urban area near the Los Angeles River, the campus is comprised of Lincoln Park, City Hall, the county courthouse, the main library, the Public Safety Building, and a police station. 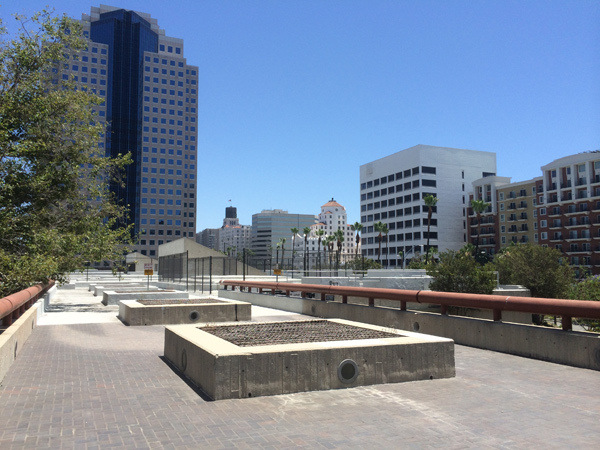 The sequence and organization of buildings create long, axial vistas across open spaces marked by plazas punctuated with public sculpture and fountains. 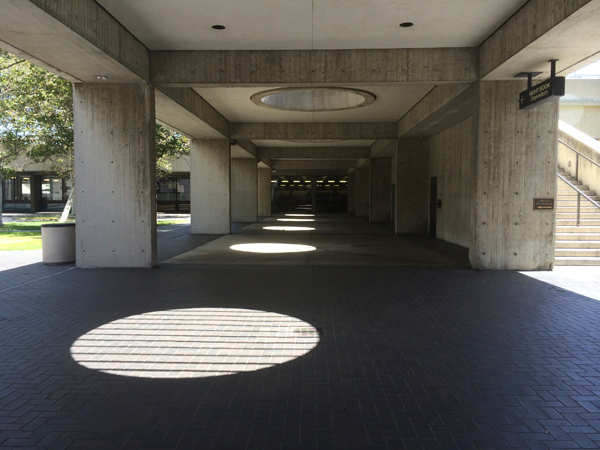 The entire complex is united through the use of repeating geometric forms, uniform vegetation, and white concrete walls. 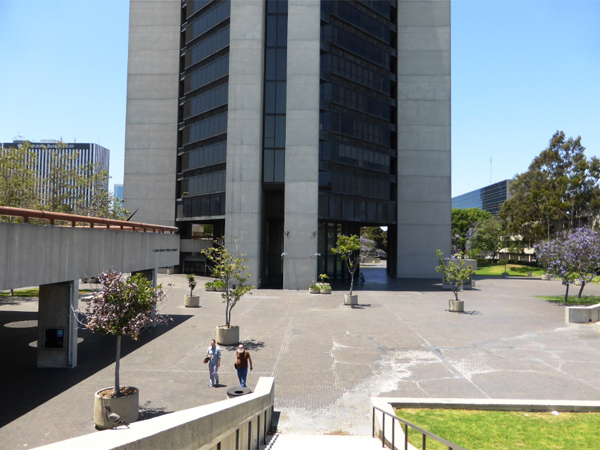 In the center of the campus, the fourteen-story City Hall rises above a landscaped plaza that provides views into the council chambers. 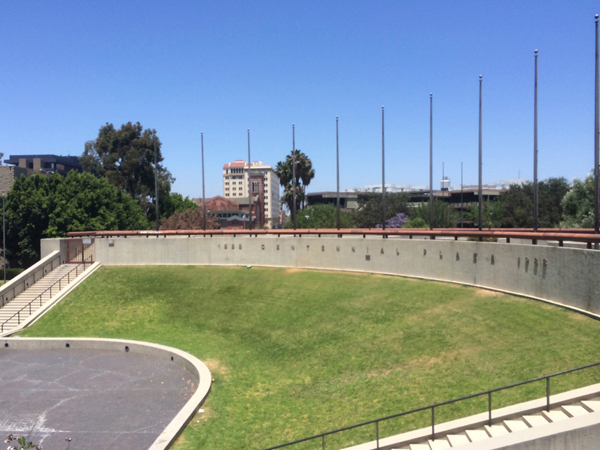 On the northeast corner, the 4.9-acre Lincoln Park, established in 1888 and renamed in 1920 following the commemoration of a statue of President Lincoln, lies atop a parking garage installed in 1962. Two years later a Japanese garden was added to the park in tribute to Long Beach’s sister city Yokkaichi, Japan. The library, with one story below ground and one above, was inserted into the southern section of the park. 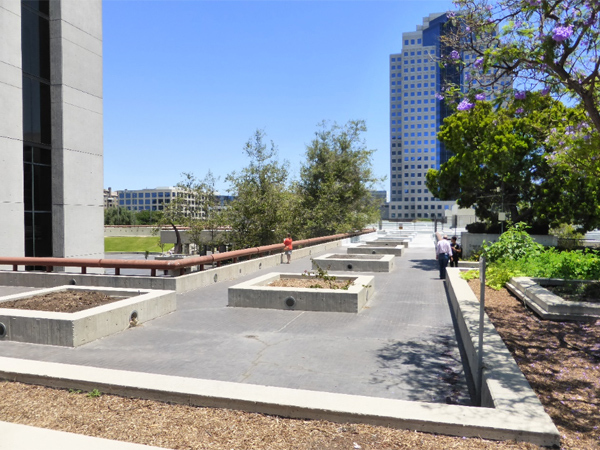 Extending the public open space to the roof of the library, Walker installed tilted turf-covered embankments, seating-lined planting beds, and open lawns. In 2013 the Japanese garden was relocated to Recreation Park.